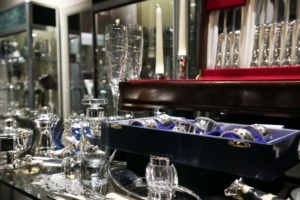 A selection of our unique Period and Antique pieces is featured on the website along with a collection of New Handmade Solid Silverware and Cufflinks. Our website showcases a selection of what we have to offer, but if you require any help or advice, please contact us by telephone, email or in person at our shop in the shadow of York Minster. Based within a beautiful period building in the shadow of York Minster, we are situated in High Petergate - one of York's most picturesque streets. Our new Wedding rings are hand crafted in the UK, we work in Gold,Platinum and Palladium making Traditional, Contemporary, Diamond set and Handmade Bespoke rings. 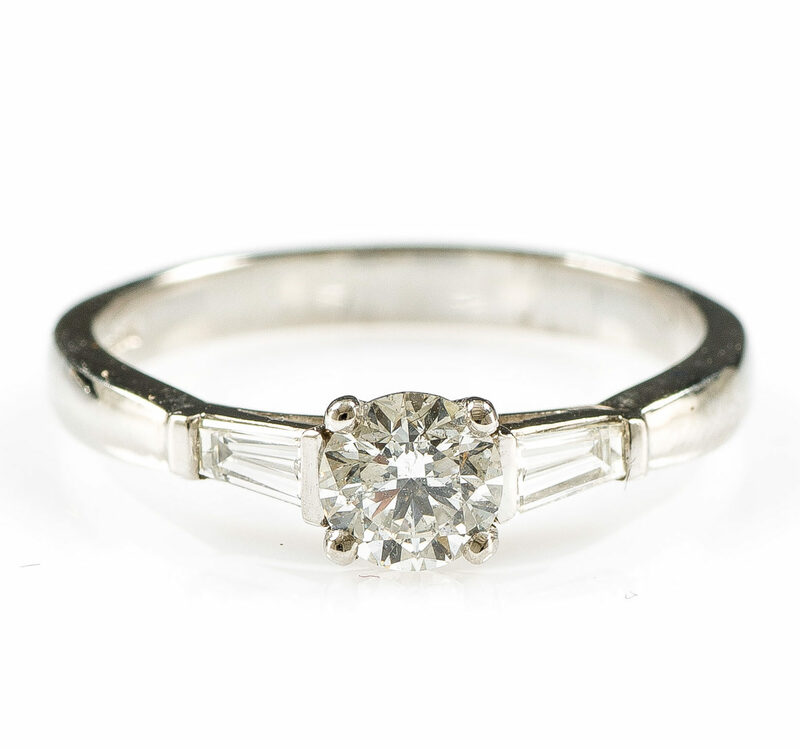 All the Engagement Rings on our website are Handcrafted in the UK using the finest quality Diamonds and Coloured stones. This is only a small selection and many more designs are available in our beautiful York shop. Below you can find an overview of our recently added products. 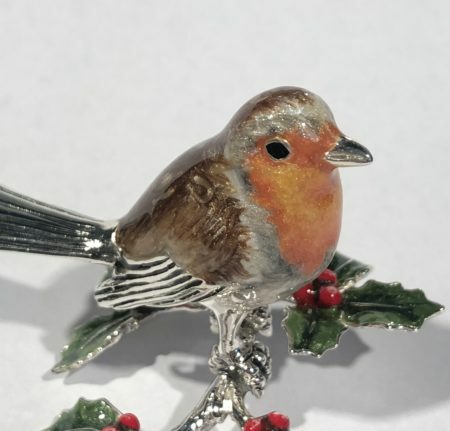 Silver and enamel Robin on holly. Sterling silver and enamel Robin on holly branch. A unique hand crafted silver model using traditional techniques. Please phone for more details. 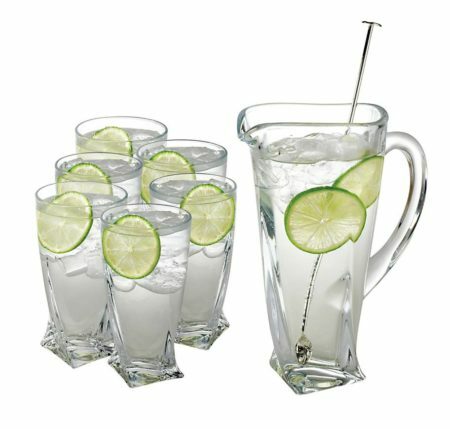 Glass set with a Sterling Silver stirrer. Mice salt and pepper shakers. 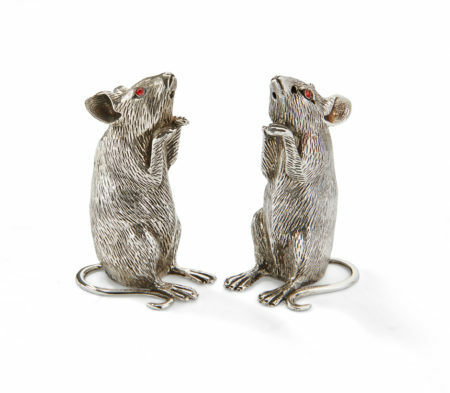 Handmade by British silversmiths, a pair of solid sterling silver mice salt and pepper shakers. A Platinum four claw round brilliant cut single stone Diamond ring with tapered baguette cut Diamond shoulders. Brilliant cut Diamond 0.50cts. Baguette cut Diamonds 0.20cts in total. exceptional Jewellery and Silverware for over 30 years. Based within a beautiful period building in the shadow of York Minster, we are situated in High Petergate - one of York's most picturesque streets. 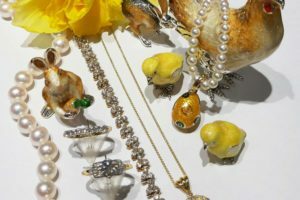 We offer a fine collection of new and antique Jewellery, Silverware, Clocks, Crystal and Objects D'art. Click one of the posts below to hear about all the latest news at Fosters Jewellers. Spring promotion until the end of April! Fosters Jewellers have been providing exceptional Jewellery and Silverware for over 30 years. At Fosters,the family jewellers,we are proud to offer an exceptional personal service. Call in to the shop or get in touch to find out more about our full range of products & services.